In 1991 Charlie Chaplin's daughter Victoria found a letter that her father had kept in his bedside drawer. The author of the letter, Jack Hill, enlightened the actor about his true birthplace, which was not London, as Chaplin claimed in his autobiography, but Black Patch in Smethwick. At the time of Chaplin's birth Black Patch was a large tree-lined meadow on which Romani People (i.e. Sinti and Roma) and showmen camped with their caravans. It is said that he was born in 1889 as the son of an artist who had travelled through England with her father's circus, finally ending up in London. It is not only by Charlie Chaplin's love of music, but possibly also by his lineage that one of the most influential comedians of 20th century film history is connected with the musician and author Dotschy Reinhardt, who as a human rights activist has been fighting against discrimination against the Sinti and Roma for years. 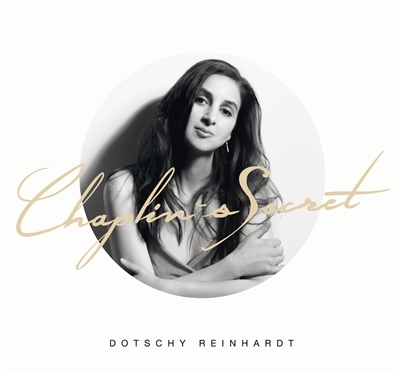 Dotschy Reinhardt takes Chaplin's secret as a starting point to pay tribute to her musical roots, role models and influences, ranging from the hot club swing of Django Reinhardt, bossa nova and American jazz to the music of Frank Sinatra and singer/songwriter pop with a mixture of her own compositions and selected standards, including "Swing little Girl" by Charlie Chaplin.